This week seems to be flying by - done a bit of good charity shopping, a lot of garden tidying and a bit of sneaky reading when I should have been being more productive. 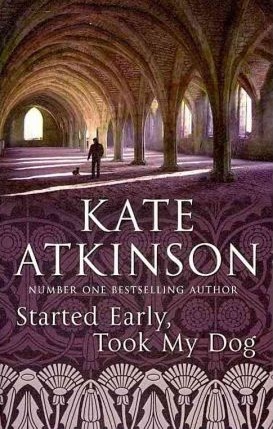 Kate Atkinson writes beautifully - makes you feel a kind of happy-sad empathy for her characters. I've also started to photograph my latest charity shop finds ready for the weekend round-up. For some reason I find photographing glass items really difficult - me and this bottle had a very long photo session today, and I still can't seem to catch the beautiful smoky-greyish-olive-green colour and the almost oily, viscous looking shimmer. Apparently it's as hard to capture in words as it is on camera! 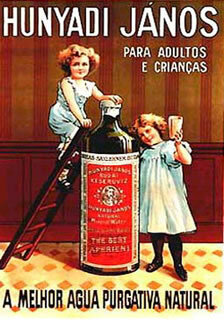 Here's an old ad for the original product - a "purgative water". Yum.